Covering an area of 147,181 sq.km, Nepal is a landlocked country situated between China in the north and India in south, east and west. It is a land of diverse culture, language, dialects, ethnicity, landscape and eco-system. Nepal is the most captivating country in the world with rich natural heritage, incredible variation of eco-system, thick tropical jungles with vast wealth of wild-life, snowy mountain ranges, myths and legends, colorful cultural, towering pagodas and above all warm and welcoming people. Nepal has a unique geographical position and latitudinal variation which has created an enormous bio-diversity. Of the total number of species found in the world, Nepal possesses 2.8% plants, 3.96% mammals, 3.73% butterflies and 8.9% of birds. Nepal’s wildlife belongs to the Palaearctic and Indo-Malayan realms. The 136 eco-system is confined to 11 bio-climatic zones and 9 eco-regions that are defined by ecological features, climate, plants and animals. Ranging from near sea level to the highest point on earth, Nepal has climatic distinction from sub-tropical to arctic. With a total population of about 26.62 million, Nepal has 101 ethnic groups speaking over 92 languages. Colorful culture, lavish traditions and vibrant festivals are the soul of this country. The two major religions, Hinduism and Buddhism play a central role in shaping the culture, values and tradition of Nepal. Nepalese culture is a collage of history, religion, art, literature, traditions, festivals, rituals, myths and legends. People here still practice century old traditions and rituals with added with additional customs to keep up with the changing time. Nepal has something to offer to anyone who wishes to embark on an unforgettable journey. From the highest peak on earth Mt. Everest to the lush tropical jungles, from glorious historic monuments to the glitz and glamour of night life, from accelerating adventurous sports to pristine journey of self discovery, Nepal is a one stop destination for all. Nepal is one of the richest countries in the world in terms of bio-diversity due to its unique geographical position and latitudinal variation. The elevation of the country ranges from 60m above sea level to the highest point on earth, Mt. Everest at 8848m, all within a distance of 150km resulting into climatic conditions from sub-tropical to Arctic. People : Nepal has more than 125 ethnic groups and 123 spoken Languages. Religion : Nepal is a secular state with a pre-dominance of Hindu and Buddhist population. Foreign Exchange must be exchanged only through the banks or authorized foreign exchange dealers. The receipts from such transaction are to be obtained and retained. Visitors can exchange money at the foreign exchange counter at the airport upon arrival also. All baggage must be decleared and cleared through the customs on arrival at the entry. Personal effects are permitted free entry. A tourist may bring dutiable goods, such as tobacco and liquors, within the prescribed quantity free of duty. Carrying narcotics, arms and ammunition are strictly prohibited (Tel: 01-4470382). Visitors can export souvenirs to their respective countries. The export of antiques, however, requires special permission from the Department of Archaeology, National Archive Building, Ram Shah Path, Kathmandu (Tel. : 01-4259686/4250687/4250688). Nepal Airlines has an extensive of air services to major parts of the country. Besides Nepal Airlines, a number of domestic airlines connect destinations in the mountains, hills and plains throughout the country. For those who wish to fly to the remote corners of the Himalaya by helicopter, it could be quite memorable and exciting experience. Many Domestic airlines operate early morning, one-hour mountain flights round the year. A valid passport and one passport size photo with a light background. Visa can be obtained through payment only in the following currency; U.S. Dollar, European Euro, UK pound sterling, Swiss Franc, Australian Dollar, Canadian Dollar, Singapore Dollar, Japanese Yen, Chinese Yuan, Saudi Arabian Riyal, Qatari Riyal, Thai Bhat, UAE Dirham, Malaysian Ringgit, South Korean Won, Swedish Kroner, Danish kroner, Hong Kong Dollar, Kuwaity Dinar and Bahrain dinar. International Credit Card are also accepted for payment of Visa Fee. Ranging from international star hotels to budget hotels and lodges, Nepal has a wide variety of accommodations available. All the major cities have proper accommodation facilities. To ensure quality services it’s advisable to use the facilities of government approved hotels, lodges and homestays. Payments in hotels, travel agencies and airlines are made in foreign exchange. Credit cards like American Express, Master and Visa are accepted in major hotels, shops and restaurants. Major Banks, hotels and exchange counter at Tribhuvan International Airport provide services for exchanging foreign currency. Nepali currency notes are found in Denominations of Rupees: 1000, 500, 100, 50, 20, 10, 5, 2, and 1 and coins are of 5, 2 and 1. Public transportations are easily available, busses, minibuses and three wheelers connect major places of the city. Metered taxies are also readily available. It’s better to look up at the city map and hail a taxi, the taxi charges Rs. 30 per kilometer. Taxies have a black license plate and a yellow sign on top. For those who prefer going around on their own, there are many shops in the city that rent bicycles, motorbikes and cars. Long distance bus services are available from Kathmandu to all the major cities of the country. Besides bus, for land transportation other vehicles like six-seated van, twelve- seated van and air conditioned mini busses are also available. For those who prefer flying, Nepal has over 18 airlines operating regular and charter services to popular destinations. Landline and mobile phone services are available in all the major cities and town of Nepal. Network coverage is in most of the places except some rural Himalayan areas. Hotels and private communication centers provide long distance call and fax facilitates as well. Sim card for mobile phones are easily available are designated places. Climatic change may lead to shortage of electricity supply and loadshedding but most hotels, restaurant and other public places have UPS or backup generator to deal with this problem. Tap water is not quite safe for drinking. Hotels and guest houses have pure bottles drinking water or hot water in thermos flasks. While travelling in rural areas, carry an iodine table, drinking water treated with iodine are safe. Purified bottled drinking water is easily available at every local store. Travel insurance policy which covers medical treatment and other activities like trekking and rafting is recommended for all tourists. Special vaccinations are not necessary but it is recommended to consult a physician regarding any special immunization against any tropical disease. If high altitude trekking or mountaineering is part of the plan than suitable training for physical fitness is recommended. Information and precaution often save lives, please read up on altitude sickness (AMS), diphtheria, diarrhea, giardia, cholera, hepatitis HIV/AIDS and so on. Make sure the foods you have are properly cooked, salads and fruits are washed with purified water and avoid food kept out in the open for long. Always carry a bottle of water while trekking or venturing away from city areas. Do not walk bare feet on damp mud or grassy unknown areas. Do not swim in water bodies where the dept and vegetations are unknown. Always carry a mosquito repellant when in Terai and during summer season. Always carry a handy first aid kit ready for any situation. ‘Namaste’ is the formal way of greeting which is done by joining both palms and keeping the hands close to the heart. While entering inside someone’s house or temple or religious place, as a mark of respect people take their shoes off. Food are eaten separately as it is considered impure or ‘jutho’ when food is touched by another person’s mouth. As a part of traditions, some Hindu temples do not allow non-Hindu to enter. Leather made objects are strictly prohibited inside some religious places and temples. Walking around temples and stupas are done in clockwise direction. Public display if affection is not acceptable. Make sure to ask for permission before taking photograph of any person or object. Women are expected to wear decent cloths, try and avoid skimpy cloths as it may draw unaffectionate attention. Entrance fees must be paid before touring heritage sites, museums, the central zoo and also for some temples. Trekkers must acquire Trekker’s Information management System (TIMS) Card before the onset of their trek. Special trekking permits may be required for trekking to areas that fall under restricted zone. Mountaineering royalties must be paid at the Tourism Industry Division, Ministry of Culture, Tourism and Civil Aviation. While entering into any one of the 20 protected areas in Nepal entry fees must be paid. We request you to be a responsible tourist. As someone once said, “leave only footprints, take only photographs”. Use designated routes, campsites and resting places to reduce tramping and other negative environment impacts. Respect local cultures and traditions, use homestays, locally owned hotels/ lodges or campsites as much as possible to support the local livelihood. Avoid/ minimize using firewood. Use common space for heating. Opt for alternatives to minimize deforestation. Maintain cleanliness and hygiene. Use the litter box locally available. Carry back your own garbage while travelling through ecologically sensitive areas. Encourage to place mobile toilets at a considerable distance from sources of water, river banks and springs while camping. The fun of trekking is when you can trek without any hindrances in the most favorable climatic conditions getting blessed with whatever the nature has to offer you! Your trekking experience becomes the best when it is neither too hot nor too cold and you get the best views of the enchanting mountains in the lush environment. Flower blossom adds to your trekking experience making your trip fantastic. Here we divide four seasons of a year explaining their suitability for trekking in Nepal. Summer season (June to August): Summer season is generally not preferred for trekking in Nepal as the monsoon begins with warm and moist air from the Indian Ocean. The rain makes the roads slippery. Even the skies are not clear. It is cloudy and blue patches can be seen from the clouds. The rain, mud, slippery paths, leeches and unclear mountain views make this fall not so good for trekking. There are pros and cons to every season. You can make your choice on the basis of its suitability for you. 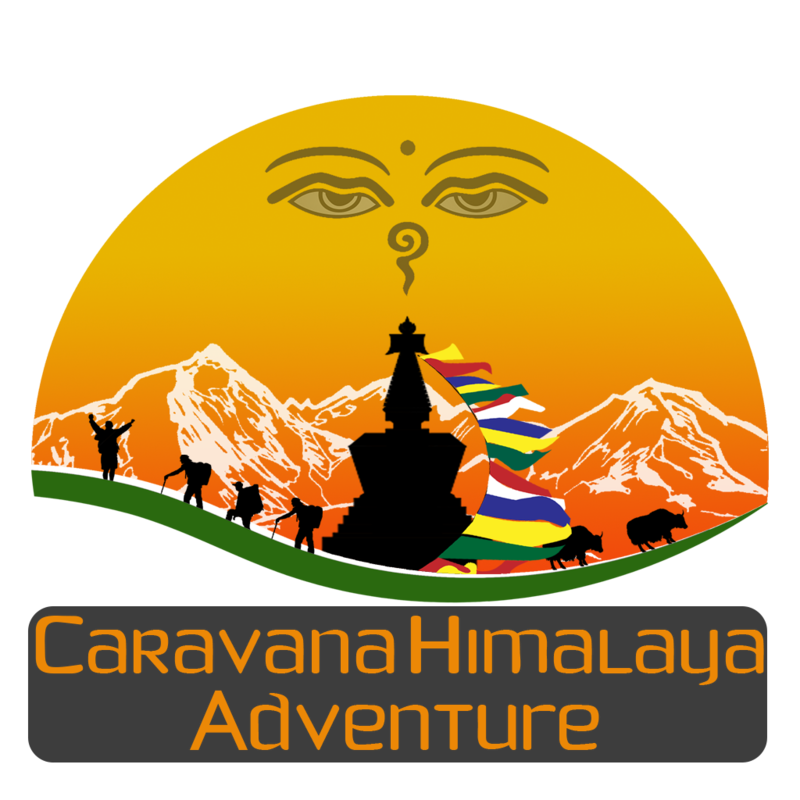 Nepal Hiking Team is there in your service whatever the month or season. The Annapurna – this fascinating land of biodiversity is the largest protected area of Nepal, known as the Annapurna Conservation Area (ACA). The Tsum Valley is a sacred Himalayan pilgrimage valley situated in northern Gorkha district of Nepal. Tsum comes from the Tibetan word “Tsombo” which means vivid. The Kali Gandaki, named after the Hindu goddess of destruction Kali, rising in Upper Mustang, on the northern side of the Himalaya.